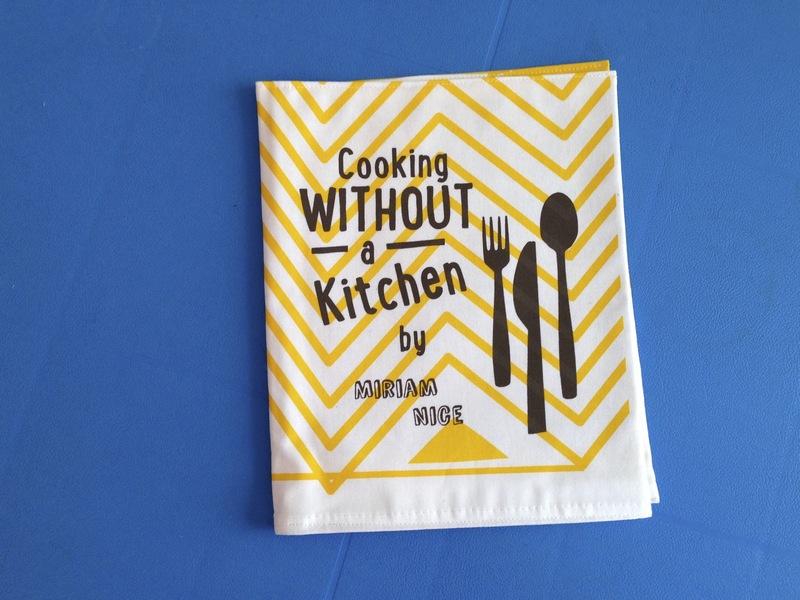 Cooking Without a Kitchen Launches! The countdown has begun, it’s official, my book will be in physical, published and purchasable form ready for the London Art Book Fair next week! It is my first cookery book and it is called “Cooking Without A Kitchen”. Comprised of 20 recipes for dishes you can create without setting foot in a kitchen. The original idea was born out of too many business trips resulting in awkward dinners in hotel restaurants. I wanted to cook for myself, to unwind at end of the day. So, I set about creating meals in my room which were tasty, easy and didn’t make a mess or set off the hotel sprinkler system! The idea grew to many more scenarios where you need to cook but can’t access basic kitchen equipment like an oven, hob or even microwave. 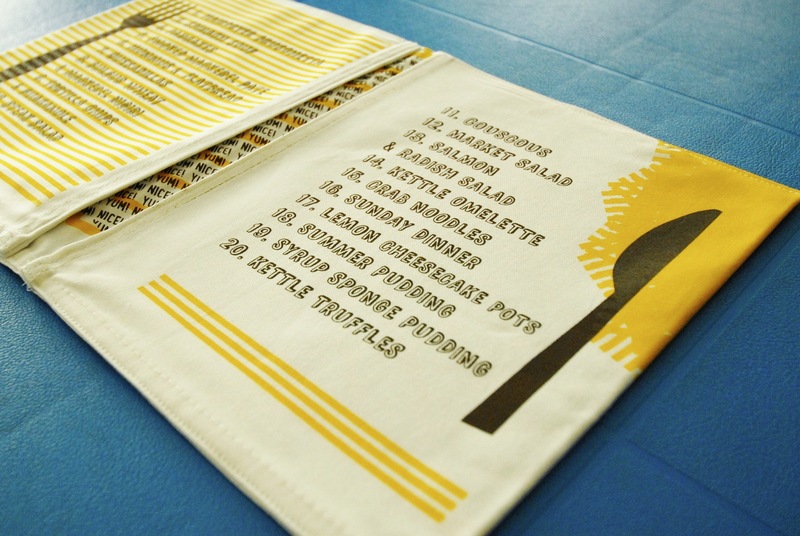 If you would like to find out more please visit the website of Pedestrian Publishing who are not only responsible for the publishing but all of the design as well; like the fantastic cover designed by Nina Vlotides and made from a hand screen printed tea towel! I would also be honoured if you would like to pop along to the London Art Book Fair where it first goes on sale. I shall be there at the opening event on Thursday 12th of September, 6pm at Whitechapel Art Gallery, London. It would be fantastic to meet fellow bloggers and readers. If you can’t make it then don’t fret, the book will be on sale via Pedestrian Publishing and I will post information here and on my Facebook page when it goes live. Canapé: Cinnamon Bagel with Goats cheese and Berries. 1. Mix the blackcurrant jam and balsamic vinegar together in a bowl and set aside. 3. Lay the 2 bagel halves out side by side on a large piece of grease proof baking paper. Fold the paper over and seal with folds to make a parcel. 4. Heat the iron to its hottest setting and when it is up to temperature gently iron the parcel for around 5 minutes each side. This will warm the bagel halves and very lightly toast them. 5. Turn off the iron and open the parcel carefully. Use a tea towel to protect your hands as it will be hot. When the bagel is cool enough to handle cut each half into 8 pieces using the scissors. 6. 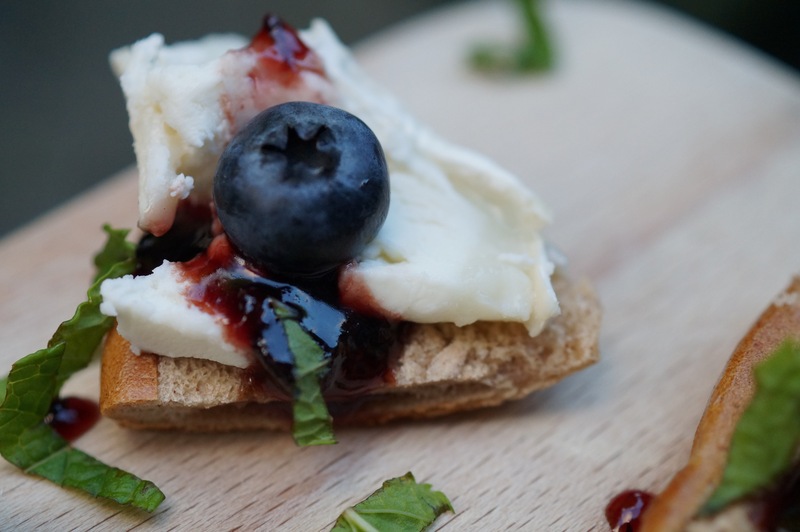 Break the goats cheese into small chunks and use to top each of the bagel pieces. 7. 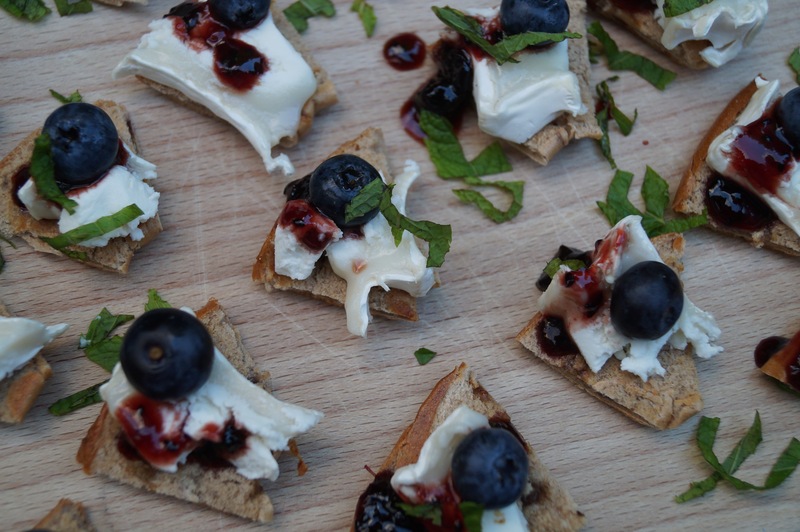 Drizzle each canapé with a little of the jam and balsamic mixture and top with a blueberry. 8. Snip the mint leaves up into fine shreds and sprinkle over all of the canapés to serve. Enjoy immediately. 2. 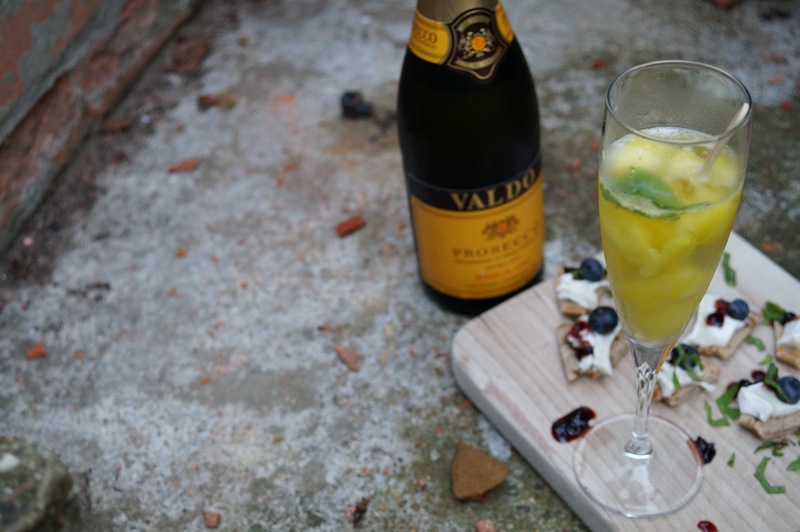 Break up the ice lollies and put the pieces into each glass then top up with sparkling wine. 3. 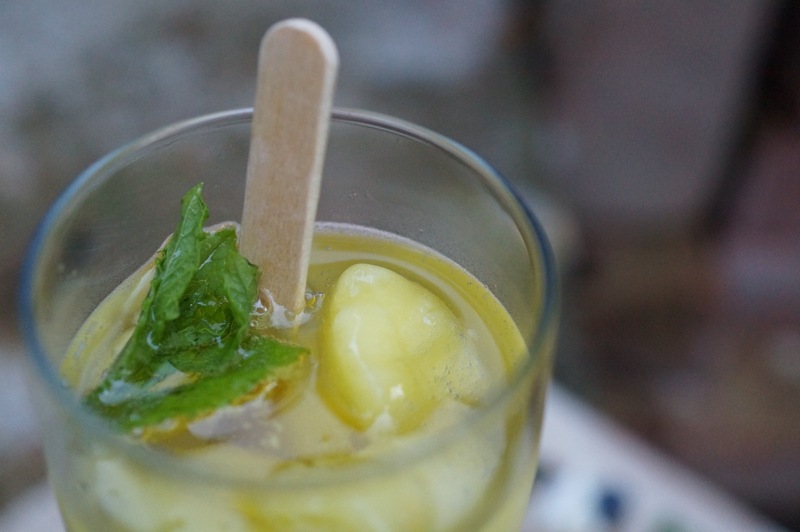 Garnish with the mint sprigs and the lolly sticks for stirrers and serve.